Incorporates aspects of yoga and calisthenics to improve flexibility, balance, strength, and range of motion as well as helping our athletes develop a physique which is more resilient and less prone to injury. As a fundamental part of CrossFit, our Strength component offers a comprehensive and balanced approach to strength training. Our programming uses body weight movements, bands, dumbbells, and barbells. Whether your goal is to gain muscle, lose fat, or become a power lifter, we will teach you how to lift with proper technique. Your body goes through several phases of energy consumption during a conditioning workout. By implementing a structured pattern of work and rest, we can improve the efficiency of the body’s energy system improving overall output. Whether your goal is to increase power and agility, maximize endurance, or get lean, metabolic conditioning is a key to unlocking your potential. The best fitness program for you is the one you can stick with. Our program seeks to keep fitness fun and engaging by providing a different challenge every day. Some days we will focus on your strengths, some days we will work on improving your areas of weakness, and some days we will be just plain fun. We are stronger together than we are apart. Together we drive each other to be better, go faster, and work harder. We support each other, hold each other accountable, and when one member falls down, we help them up. We celebrate each other’s wins and mourn each other’s losses. We are a family of like-minded fitness enthusiasts. Not all CrossFit affiliates are created equal. 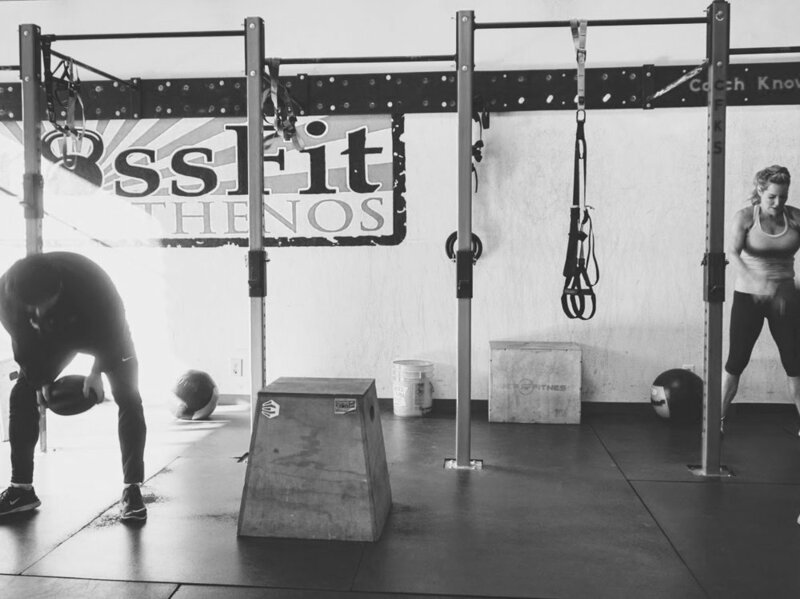 At CrossFit Kalos Sthenos, we strive to attain the highest levels of safety and quality for our members. Our coaches hold more certifications than most CrossFit affiliates. This translates into better programming for our members, more consistent attendance, and better results. The workouts posted at CrossFit.com are for elite athletes. Lets face it, most of us are not at the elite level. Part of any successful (and safe) CrossFit program is to scale exercises appropriately. Your coaches are trained in how to identify when substitutions are appropriate or when and how to scale weight and rep schemes for your personal fitness level. You will undergo regular evaluations to determine if you are ready to move to a higher level. Above are just a few of the reasons why CrossFit Kalos Sthenos is the best CrossFit affiliate in Southern California. Don’t take our word for it. Contact us today to learn more.